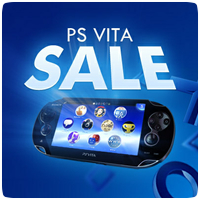 Week 2 of the 3 week PS Vita Sale is about to start tomorrow and this time Sony are focusing on PS Vita retail released games. Week 2 of this sale starts on June 20th until July 4th. If you missed anything from Week 1’s sale, it will be available until July 27th. But that’s not all, sign up to Inside PS Vita before 29 June 2012 and Sony will send you a voucher code which you can use to purchase Unit 13 during the sale with an additional discount making the game available for only €19.99/£14.99!